As with people, dogs also need dietary supplements sometimes. A supplement contains one or more ingredients essential for the good health of your Pomeranian. There may be only one ingredient or a blend of different ones and they can be minerals, vitamins, herbs or various botanicals. There’s a large range of different dog supplements you can buy so it’s easy to be confused about the choices on offer and whether your Pom actually needs them at all. Most Poms that are 100% healthy without any problems will generally get all their dietary needs from their food, whether it’s high-grade manufactured food or home-made meals. In this case, supplements won’t be needed. However, there are numerous reasons where supplements may be required to improve your Pomeranian’s health. For example, an upset stomach, itchy skin, poor coat health, gaining weight and issues with moving properly due to age and/or injuries. Depending on what you actually feed your beloved pet, you may need to include an added mineral and vitamin supplement to ensure he gets enough of the right nutrients. Now I’ll cover the various supplement options available and the ways they can assist you. 1 Daily minerals and vitamins. 2 How do you know if your Pomeranian needs daily supplements? 3 There are major differences between superior and inferior canine foods. 4 Supplement choices to consider. 5 What groups of Poms gain benefits from these supplements? 8 Which Poms benefit most from the omega supplements? 10 Supplements that can help your dog gain weight. 11 How to select the best nutritional supplement. Canine needs do vary from human needs so supplements will also be a bit different. For example: they don’t need chromium, selenium or vitamin K.
The ideal multivitamin/mineral for a dog will contain: vitamins B1, B2, B5, B6 and B12. Also included is zinc, magnesium, potassium, niacin, phosphorus, iron, copper, calcium, iodine, folic acid and vitamins E, A, C and D3. How do you know if your Pomeranian needs daily supplements? Dogs that aren’t being fed the highest quality food . This is a very important fact to understand when feeding your dog. There’s a major difference between natural vitamins in real food and the vitamins that are chemically derived. The later are separate from food and it’s believed that their quality is much lower than naturally occurring vitamins. Vitamins in food bind together with amino acids and enzymes and that increases their capacity to provide essential nutrients. There are major differences between superior and inferior canine foods. Inferior foods contain minimal “real” foods and nutrients. There might be a minimal amount of vegetables and/or fruits. The bulk of the ingredients are by-products, fillers and various cheap ingredients. To top it off, they include chemically derived minerals and vitamins. If you’re considering including supplements in your Pom’s diet, you need to analyze what you’re feeding him. Is it low or high quality food? If it’s not high quality, why not? That just shows you don’t really care about your Pomeranian. If you’re buying inferior food, it won’t have good nutrients and may have ingredients that can cause harm to your dog. Chemical additives and preservatives can cause itchy skin, digestion issues and many other problems your dogs shouldn’t have to endure due to poor quality food. If you buy good quality manufactured foods, you must do your research to ensure he’s eating the healthiest foods available. There are some top brands suitable for small breed dogs such as Pomeranians and they contain enough of the right nutrients that, unless he’s sick, he won’t need extra supplements. Dogs that are given homemade food. There are tremendous benefits to preparing homemade food for your dog. You’ll be completely in control when choosing what goes into your dog’s food. There won’t be unwanted additives and you can mix different ingredients to keep his meals varied so he’ll enjoy eating. A healthy homemade dog food should have natural minerals and vitamins obtained from vegetables, fruit and meat you include in his meals. A good homemade meal will contain natural vitamins and minerals via vegetables and fruits. However, it’s virtually impossible to dish up your Pom’s meals and ensure they contain ALL the essential nutrients. Even the best commercial doggie meals you can buy find this impossible and are forced to add extras. Each time you prepare a meal for your beloved Pomeranian, include minerals and vitamins to help balance the diet. Daily dog supplements are either chewable tablets or in a powdered form. You can easily sprinkle powder over the food and even mix it in if necessary. The tablets can be used as a daily treat. You have a few choices. Pet MD – Canine Tabs Plus 365 Count – Advanced Multivitamins for Dogs – Natural Daily Vitamin and Mineral Nutritional Supplement – Liver Flavored Chewable Tablets are an excellent choice. These supplements are manufactured in America in regulated facilities that are covered by the USDA, FDA and the Food Safety and Inspection Service (FSIS). They have a yummy liver taste loved by most Poms. Half a tablet each day should be used and can be crumbled and mixed into his food or offered as a treat. The majority of people talk about joint health supplements as glucosamine on its own, or with chondroitin added. However, Coenzyme Q10 (CoQ10) and MSM are also joint supplements. Glucosamine creates glycosaminoglycan, a substance that repairs cartilage and body tissues from typical wear and tear as well as problems occurring due to age and/or injury. Chondroitin assists glucosamine by collecting the ideal amount of fluid for lubrication of your dog’s tissues surrounding joints to help with shock absorption and to supply cartilage with vital nutrients. CoQ10 is a body’s natural enzyme that sits in your dog’s cells and it fulfils numerous functions including: acting as an antioxidant, helping blood vessels work properly and supports his immune system. MSM doesn’t exist naturally in a canine’s body. It’s an organic compound supplement that decreases swelling and pain and makes a dog more flexible. What groups of Poms gain benefits from these supplements? a) Pomeranians who are 6+ years of age. As your dog slowly grows older, his body creates less chondroitin and glucosamine, leading to stiffness and pain in the joints, he’ll experience more wear and tear and, eventually, osteoarthritis. While it’s commonly called “arthritis,” this isn’t correct. Arthritis is inflammation of joints and “osteoarthritis” is a degenerative disease that has occurred as a result of joint cartilage that has deteriorated. A dog’s mobility can be severely hindered as well as being quite painful. He may have problems walking, sleeping, mood swings and other issues. As a caring owner, you should be treating your Pomeranian as a member of your family. Don’t just sit back and wait until he gets arthritis. Give him MSM as one supplement to help avoid such a serious problem. It can’t stop him succumbing to osteoarthritis, it could slow down the onset. If you have an older Pom with no osteoarthritis, he doesn’t need MSM or CoQ10. As mentioned earlier, being proactive is essential. Include chondroitin and glucosamine in his diet as hits the point of being considered “senior.” If he has osteoarthritis, the vet will almost always recommend glucosamine or the formula for the four supplements. 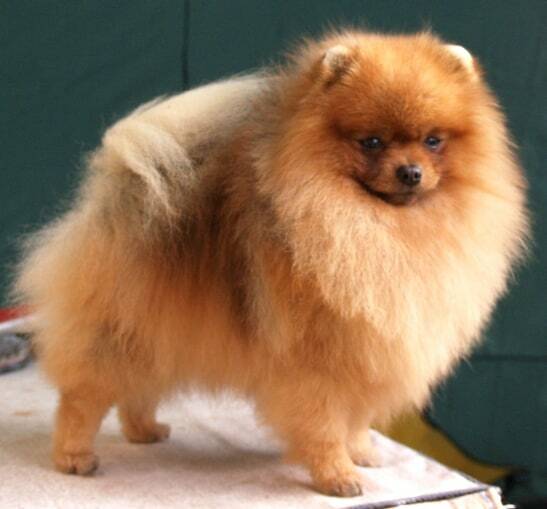 c) Poms that have experienced luxating patella and/or various other conditions and injuries to their joints. Any joint damage may cause permanent mobility troubles and it increases the risk factor for the development of arthritis in the area specified. The supplement can aid in the recovery, as well as reduce the speed of future problems. If you simply want the glucosamine/chondroitin supplement on its own, an option most suited for a Pomeranian is Glucosamine for Small Dogs- Liquid Canine Hip & Joint Support, Arthritis & Pain-relief Supplement, Advanced Healthy Natural Formula With Chondroitin Sulfate, MSM, For Arthritis & Inflammation This product comes complete with an eye dropper and can be added to your Pom’s food are dropped directly into his mouth. 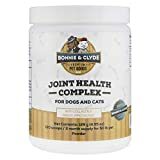 If your dog needs the more components, Advanced Glucosamine for Dogs with Chondroitin, MSM, Vitamins C & E, Omega 3 & 6 – Extra Strength Hip and Joint Health Supplements for Dogs – Made in USA. provides a first class supplement. It also contains: Omegas 3 and 6, vitamins C and E and has powerful joint health benefits. There are FDA-regulated factories in the US that create this product. They’re chewable and soft and if your Pomeranian weighs less than 15 pounds, he only needs one tablet each day. There’s another superior supplement ideal for supporting small Pomeranian joints which contains Organic Tumeric. Turmeric Curcumin Treats for Dogs – For Strong Hip & Joint Health – Digestive & Immune Support Supplements with BioPerine & Organic Turmeric + Coconut Oil – 90 Duck Flavored Soft Chews . Your dog’s healthy skin and coat can be kept healthy by using Omega-3 fish oils. The fatty acids are essential for your dog’s skin because they provide proper moisture, quality and elasticity. As for his healthy coat, it helps the coat grow, be healthy and be the correct texture. It assists in controlling allergies such as seborrhea. Omegas 3 and 6 are believed to assist your Pomeranian with various health problems such as: heart disease, kidney functions, arthritis, cognitive functions and possibly lymphoma (a blood cancer). These oils are essential additives to your beloved Pom’s diet because he doesn’t produce them naturally. Some oils that do contain the omegas are canola, soybean, walnut and flaxseed. In fact, flax seed oil is a common supplement for dogs. The oils are the ideal substances to give your dog. Which Poms benefit most from the omega supplements? Any Pom that has issues with his coat and/or skin. If your dog’s skin is itchy, peeling or dry and also has brittle and/or dry fur, the oils may, in conjunction with other supplements, ease such problems and even help his coat grow. Lots of common troubles that dogs face may be due to poor quality diets (especially if the food has lots of additives), intolerance to specific ingredients in food or allergies. Seasonal health issues can come and go but may leave a trail of trouble in their wake, including a weakened immune system. How to pick the best omega supplement. You have plenty of oils, chews and pills to try and the fatty acids may come from multiple sources. I generally recommend a liquid version of the fish oil because it’s simple to give it to your dog. It has a tempting odor and taste for canines. The addition of fish oil can sometimes persuade him to finish his food. You buy it in a useful pump and your Pomeranian only needs half a pump each day. Drizzle over his kibble and then mix it well or you’ll find kibble left but your dog will attempt to lick off everything that’s drizzled on the surface. Better still for your Pomeranian’s health purchase top quality tinned salmonWild Alaskan Salmon, Skinless Boneless (Pack of 6), 6 oz Can, No Salt Added – Trader Joe’s and add about a tablespoon daily to your Pom’s meal or feed as a treat. This works for both canines and their human friends. In the digestive tract, you find bad and good bacteria. Probiotics assist in the balancing of the two opposites, to improve your dog’s digestive system and overall good health. If your dog has numerous digestive problems like chronic diarrhea, he may need to see a vet. He may have an upset tummy that needs attention and your choice of foods to give him can play a critical part of this. Ensure you buy the best quality food available or make it yourself and then you’ll know it’s easy to digest. Which Poms benefit most from having probiotics? Dogs with sensitive stomachs. 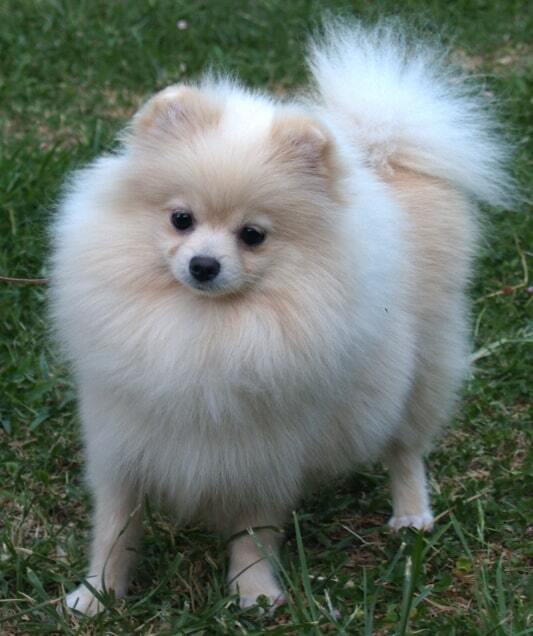 All Poms may experience upset stomachs from their food if it’s poor quality. A dog may experience diarrhea, bloating and gas and each of these can alter his normal appetite. This scenario is perfect for the addition of probiotics into his diet. 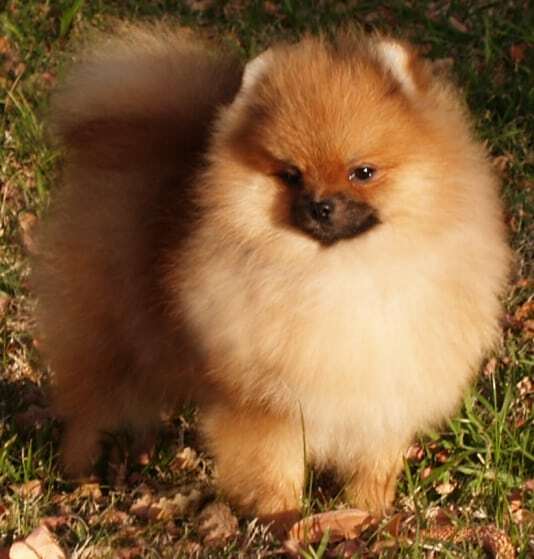 If your treasured Pom is trying to recover from an illness of the intestines. If your pet was being given medications that can cause a stomach upset or if he has had a nasty bout of diarrhea, your dog’s gut balance will be unbalanced so if you give him, he’ll begin to feel better. Tips for selecting a good probiotic supplement. Purina Fortiflora Canine Nutritional Supplement Box, 30gm/30 Count is a terrific choice because it has 22 of top grade probiotics that are essential to the good health of your dog. 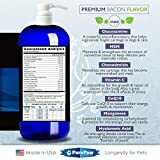 You may prefer the powder formula as it’s simple to give your dog, particularly as he’ll be still struggling with an upset tummy that isn’t likely to allow pills to be used easily. Everyday Probiotics for Dogs with Digestive Enzymes for Sensitive Stomachs: Remedy Vomiting, Diarrhea, Constipation and Gas / Bloating (102 Treats/4 Billion CFU) is a great choice. It lasts an eternity as a serve is 1/8 of a scoop every day. What’s more, it comes with a 100% guarantee. Supplements that can help your dog gain weight. This type of supplement is designed to help puppies that find it hard to gain weight and adult Poms that find it difficult to maintain their body weight. The supplements (aka) high calorie gels or supplements are very small, yet provide a strong dose each time. If your dog finds it hard to eat, this is a small, yet palatable way of boosting their nutrients, even if they struggle to eat normally. Puppies that don’t gain the weight they should be for their age. If your Pom isn’t increasing his weight, it’s time to see the vet. There’s a long list of health problems your dog may be experiencing but you may fail to realize. No supplement will cure infections, diseases or other health woes but if other possibilities have been eliminated, then supplements are certainly needed. 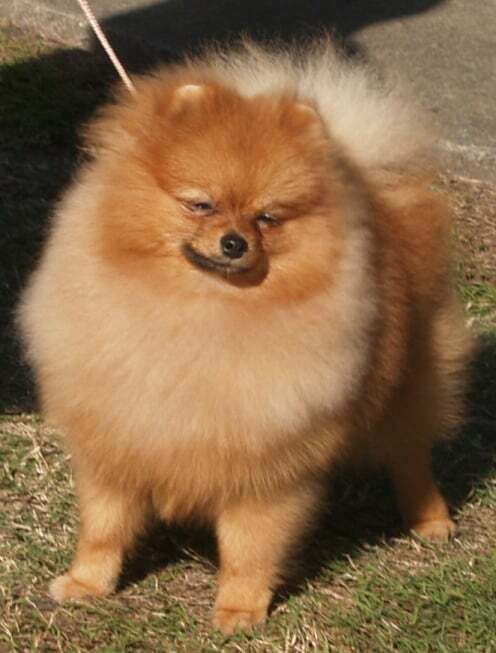 Adult Pomeranians with low appetites that can’t maintain a healthy weight. 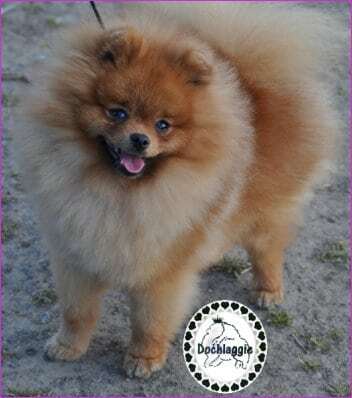 If your adult Pom has such a small appetite that he can’t maintain his current weight, or if he is losing weight rapidly, you urgently need to take him to the vet. If he’s living with (or recovering from) a health condition that can cause dramatic weight loss, this tiny gel may very well be the catalyst for turning his life around. How to select the best nutritional supplement. If you feed your dog high quality foods all the time and he’s healthy, there’s not a need for additional supplements. However, if he has health problems or is getting on in years, the best mix of supplements can keep him going well into the senior years.